Perfectly moist and delicious, this Gluten-Free Flourless Orange and Almond Cake ticks all the boxes. Serve with vanilla bean infused double cream for an indulgent treat. I must admit that I don’t do a whole lot of gluten-free cooking. There’s no-one in my house who is gluten-free, so it’s not really high on the agenda. But then there’s THIS cake. Yep, this cake makes me want to eat gluten-free for the rest of my life. 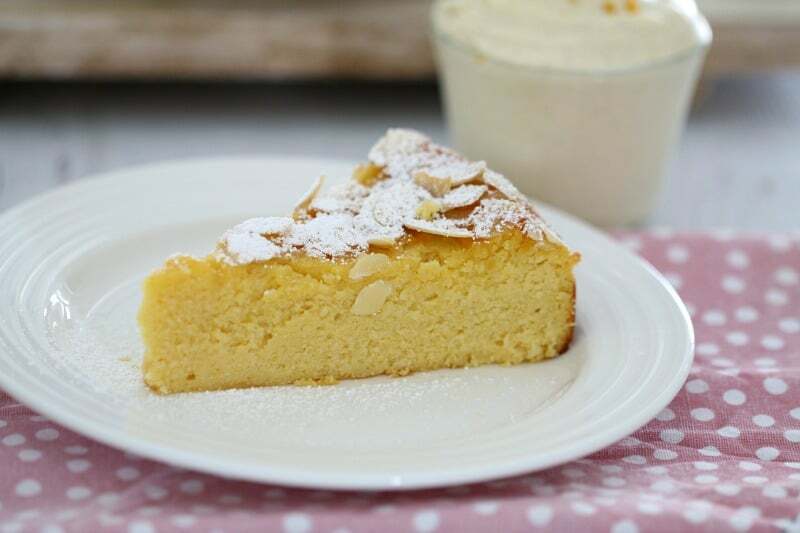 Say hello to the most super-yummy and citrusy Gluten-Free Flourless Orange and Almond Cake. This is one cake that you want to meet and then meet again and again. 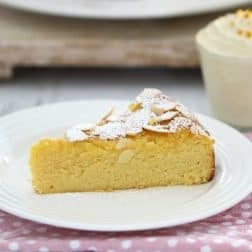 I’ve been making a similar gluten-free orange and almond cake for years (it has the best orange syrup over the top… drool! ), but this time I wanted to try something new. 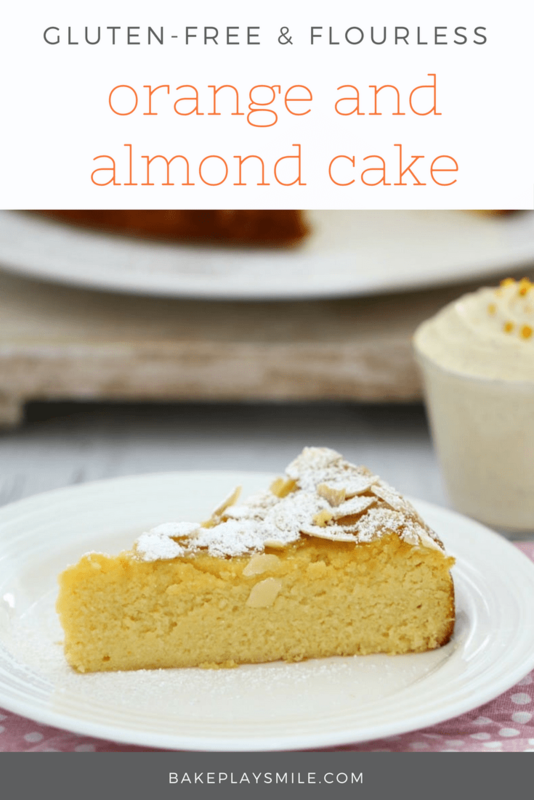 I wanted to keep the awesomeness of the original cake, but make it even better by adding flaked almonds on top (if you’ve ever tried my Gluten-Free Lemon & Ricotta Cake, you’ll know all about my love of almonds on top!). And because I wanted to use almonds on top, I also wanted them to stay crunchy (because that’s totally how almonds should be!). This meant that I had to kiss goodbye to my syrup, which made me very sad… but then I totally made up for it by sprinkling icing sugar over the top AND adding a huge dollop of vanilla bean double cream. Mmm absolutely delicious! So now I’m really torn over which of the two cakes is my favourite gluten-free flourless orange and almond cake. Both are SO good in their own sweet, sweet ways. I have to say that if you’re going to be taking a cake somewhere, then I think this version pips the syrup version at the post… mainly because you don’t have to deal with syrup and cars (which is never a good combination!). You can serve this cake warm or cold – and honestly, it’s insanely good either way. I also decided to make a vanilla bean infused double cream to serve with the cake. It’s so easy. You just add a little bit of icing sugar and vanilla bean paste to a container of thick double cream. Give it all a really good stir and pop it into a serving bowl along with some grated orange zest (totally optional… but again… SO good!). Perfectly moist and delicious, this Gluten-Free Flourless Orange and Almond Cake ticks all the right boxes (and so many more!). 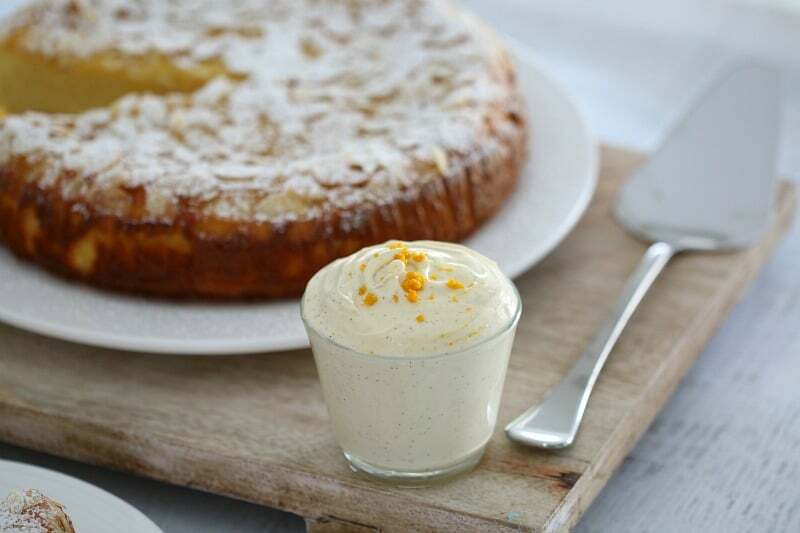 Serve with orange and vanilla bean infused double cream for an indulgent treat. Wash the navel oranges and place into a large pot. Cover with water and bring to the boil on the stovetop for 2 hours (add more water during this time). Remove the oranges from the water and allow to cool completely (they'll be nice and soft). Grease and line the base and sides of a 22cm springform pan with baking paper and set aside. Chop the cooled oranges into pieces and place into a food processor. Process until completely smooth and no lumps remain. Beat the eggs and caster sugar in a large bowl until pale and frothy (about 2 minutes on high using hand-held beaters). Add the almond meal and baking powder and stir through. 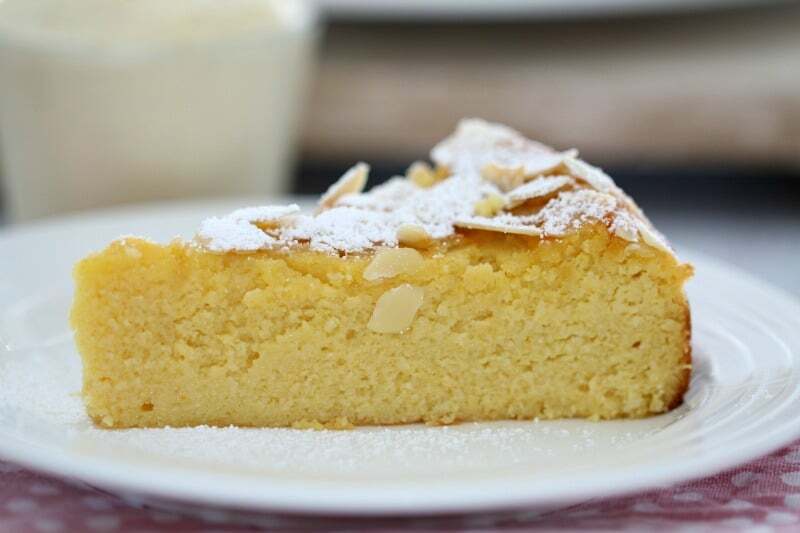 Sprinkle the flaked almonds over the top of the cake. Allow to cool completely in the tin (preferably place it into the fridge overnight. To make the vanilla bean double cream, place the cream, vanilla bean paste and icing sugar into a bowl. Mix together until well combined. Spoon into a serving dish. Sprinkle with grated orange zest. 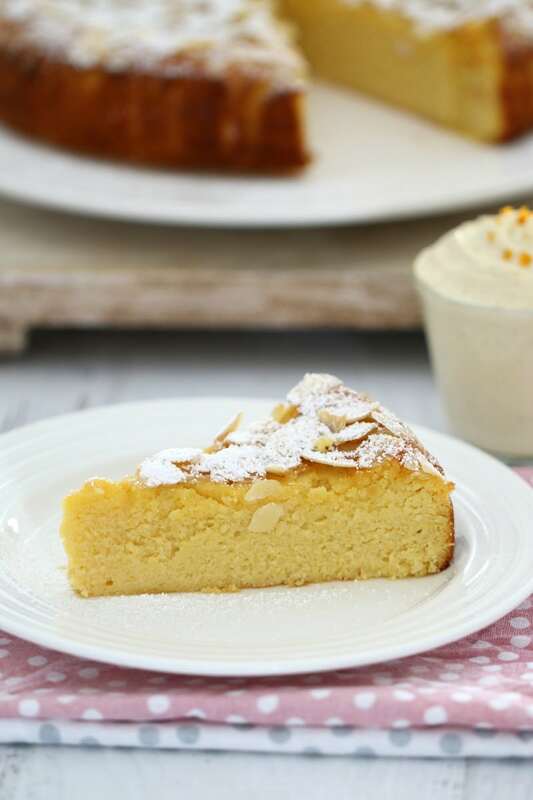 Perfectly moist and delicious, this Thermomix Gluten-Free Flourless Orange and Almond Cake ticks all the right boxes (and so many more!). Serve with orange and vanilla bean infused double cream for an indulgent treat. Chop the cooled oranges into pieces and place into the TM bowl. Slowly increase to Speed 7 and continue to process until completely smooth (you'll need to scrape down the sides of the bowl occasionally). Add the eggs and caster sugar and mix on Speed 5 for 30 seconds. Add the orange puree and mix on Speed 5 for 10 seconds. Add the almond meal and baking powder and mix on Reverse, Speed 3 for 20 seconds. Spoon into a serving dish. Sprinkle with grated orange zest and crushed pistachios. Gluten free just got gorgeous! This cake looks ace and I love baking with the whole orange – all the orange, all the taste and all the flavour! 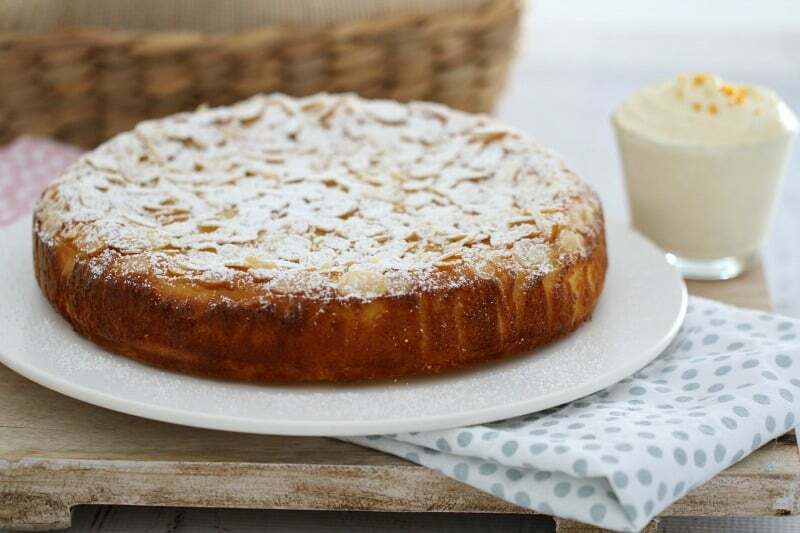 Orange and Almond Cake is the BEST cake ever! I could NOT stop eating it when I was pregnant and am still trying to wean myself off it now! I also love it with flaked almonds on top and have made it in a loft tin before (just like what I buy) so that I can cut it into slices and freeze it. It must be the season for whole orange almond cake, lol. I reckon it’d have to be one of the easiest cakes to make, & one of the yummiest! Love the almonds on top too.